Gamasutra: Fabian Fischer's Blog - Why do we really play? Why do we really play? No doubt, the motivational power of games is exceptional. In any individual case, there’s of course a potentially endless variety of reasons for investing time into a game. Several psychological studies from the last years do however reveal that those reasons do not necessarily all fit into the same category. Especially self-determination theory has recently gained in importance and popularity. Based on the work of Edward L. Deci and Richard M. Ryan, Daniel Pink’s “Drive” has become a best-selling work of reference. One of the fundamental statements is that the self-driven intrinsic motivation of any individual person is always potentially stronger than the extrinsic motivation triggered by explicit rewards. Pink describes the latter as a treadmill, comparing it to the prominent “carrot-and-stick” model. The former however, according to Deci and Ryan, can only be achieved by satisfying the three innate human needs of autonomy, competence and relatedness. Now, what does this have to do with videogames? Quite a lot as it turns out. At first, let’s take a closer look at the basic needs defined by self-determination theory, whose importance in motivating human behavior was shown in numerous studies over the last decade. Autonomy is the need for control and independence. It’s satisfied by having influence on your own fate, by having a choice. On the surface this need is inherently satisfied by all games due to their nature as interactive systems. We can interact with them, work the contained mechanisms, or not. However, on top of that many gameplay systems offer additional freedom of choice directly in-game and therefore manage to satisfy the autonomy need more profoundly. That’s especially true for sandbox games like Minecraft wherein the player’s freedom is a primary feature. 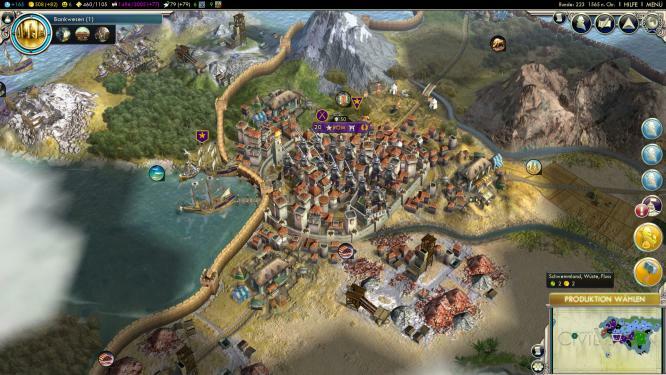 Strategy games like Civilization, too, always confront the player with multiple action alternatives. Sid Meier’s definition of games as a “series of interesting decisions” has almost become a mantra throughout the industry. Puzzles like a Sudoku on the other hand generally offer less room for true autonomy since their solution is fixed and preset. That’s for example also the case with strictly linear “on-rails” shooters. Quite similarly, pure skill contests like Guitar Hero actively have to prevent players from having freedom of choice to allow for a completely fair measurement of every participant’s raw proficiency. The second need is the one for competence. It concerns the feeling of being good at something and especially of getting better. The possibility of striving for mastery is key to satisfying this need. Obviously this concept has always been of great importance in videogames ever since the arcade days. Good strategy games also meet this need because they allow their players to understand the underlying mechanisms on a deeper level over time, so that they’re able to make better and better decisions. Above-mentioned contests shine in this category, too, since it’s part of their core functionality to let players practice to get better. However, puzzles again leave rather little room for satisfaction since they don’t measure the player’s abilities at all. A puzzle can’t be “mastered”, it can only be solved. The assessment is by definition binary: solved or not. It thereby doesn’t matter if the solution was found in an hour or in ten seconds. If it mattered it would already be a contest, a discipline. Of course one might simply look at all puzzles in this way and, after all, find some value in terms of competence in them. They are however not explicitly made to satisfy this need. In similar fashion sandbox games are not suited to build competence since they are lacking a concrete goal in the first place by which a player’s actions could be evaluated. Unless players set their own goals of course, although this effectively makes them designers and is fundamentally different from merely playing “in the sandbox”. Lastly self-determination theory also contains the need for social relatedness, the closeness and contact to other human beings. Games can satisfy this need on two levels. First of all there’s of course a multitude of multiplayer games. 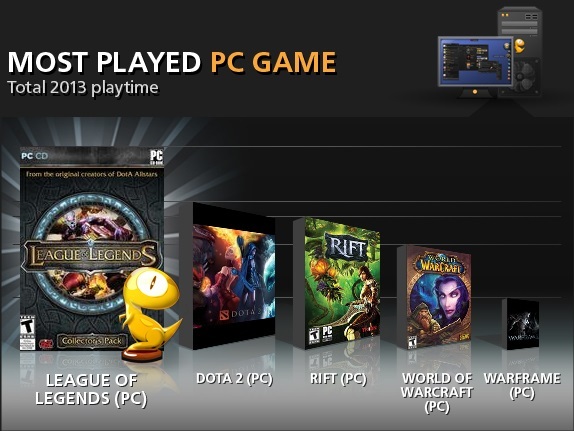 The Internet made this a more and more accessible and also important factor for almost any successful game: Players cooperate in World of Warcraft, compete in Hearthstone, or do both at the same time in Battlefield. However, on top of that there’s another (meta-)level that can also be a factor for single-player games: the community. Games are discussed in forums and comments, YouTube and Twitch spawn “gaming stars” of all kinds, there are thousands upon thousands of tweets, blogs, podcasts and many other pieces of content every day. Games as a foundation for social interaction are a rapidly growing phenomenon. The more interesting the particular game, the more it is generally talked about. Linguist James Paul Gee (“What Video Games Have to Teach Us About Learning and Literacy”) sees great potential in this gathering of players in so-called “affinity spaces”. He believes it’s one of the most important strengths of the medium in modern society. On the other hand, it’s also the reason for perpetual “hype” working so well in marketing because it induces the feeling of being part of a whole movement. In general games are pretty good at meeting the three basic psychological needs. And certain games tend to satisfy one or more of those better than others. So far, so good. But how is this relevant to the “average gamer” who just wants to have fun playing a game? At this point the scientist trio formed by Andrew K. Przybylski, C. Scott Rigby and, again, Richard M. Ryan enters the stage. In "A Motivational Model of Video Game Engagement" they summarized a substantial amount of studies that all clearly revealed a positive correlation between what we typically call fun (“game enjoyment”, “player engagement”, “well-being”) and the satisfaction of the three psychological needs. The stronger a game manages to provide the player with feelings of autonomy, competence or relatedness, the more fun and motivating it will be. These results are of great importance for game designers who are often struggling with the fact that they can’t just “infuse” fun into a game. Psychology provides a starting point as to what these incredibly elusive concepts of “fun” and “value” in general could be all about. On top of that, Ryan and his colleagues took a closer look at the meaning behind “immersion” that’s not only used as a marketing buzzword anymore but has also become a part of the standard “gamer vocabulary”. 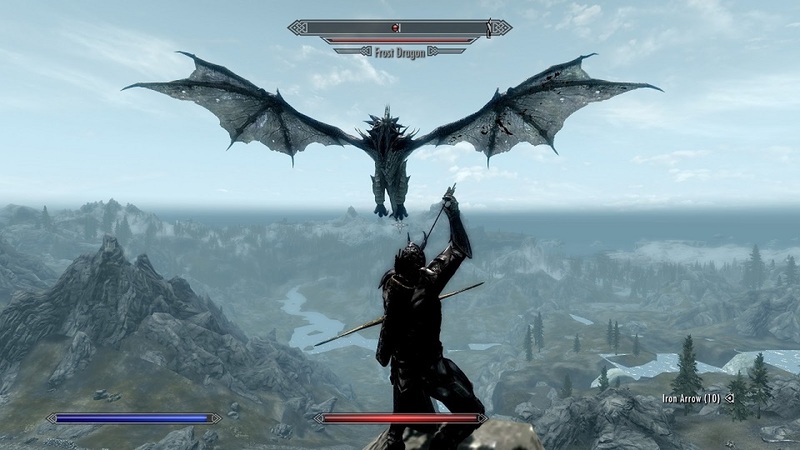 As the linked paper correctly observes: “Many game designers and players assume that a sense of immersion is based mainly on the fidelity of the graphics and sound provided by a virtual environment.” That’s the reason games such as Skyrim or Bioshock are regarded as the “cutting edge” of immersive gameplay. The results of the studies however showed that audiovisual elements are actually of rather little importance. Instead the satisfaction of the basic needs is, yet again, heavily involved: The more a game lets the player make choices autonomously, build competence and experience relatedness to others, the more “immersive” it feels in the end. Additionally, a comparison to a study conducted by Nick Yee at Stanford University, who assumed immersion itself to be a core motivator, demonstrated that the psychological model of self-determination theory allows for much more exact predictions regarding fun, well-being and future motivation. In taking a closer look at League of Legends the satisfaction of the basic psychological needs can be understood more concretely. It provides its players with autonomy in a multitude of ways: Initially they have the choice between two fundamentally different game modes (“Classic” and “Dominion”) and multiple maps. Subsequently one of more than 100(!) 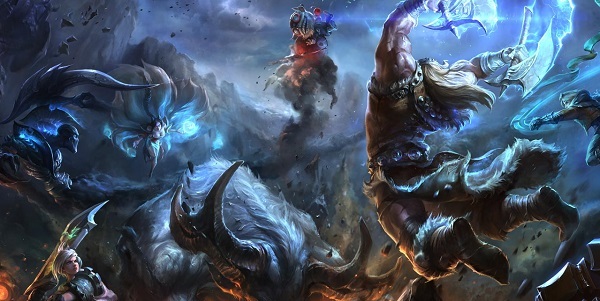 champions has to be picked for the upcoming match, which then can be further customized through masteries, runes, summoner spells and even skins. Before the actual game even starts the player has already been confronted with a gigantic amount of options. However, the freedom of choice does not stop there. Once the player entered a match of the hit “MOBA” he has to make strategic and tactical decisions on a regular basis. The resulting gameplay depth, which consequentially makes the game one of the most popular esports of our time, is also a core element in satisfying the second need: competence. There is a vast number of possibilities to get better and explore the complexity of the system long-term. At last, social relatedness is also heavily emphasized: Not only is it a strongly multiplayer-focused game, but its community is also one of the most active ones out there. Every day new guides are created, gameplay intricacies are discussed, live broadcasts of matches in the “League Championship Series” can be watched and, following James Gee’s idea of the “affinity space”, even a whole new language has developed around the game. Thus all three core needs are met to above-average levels. 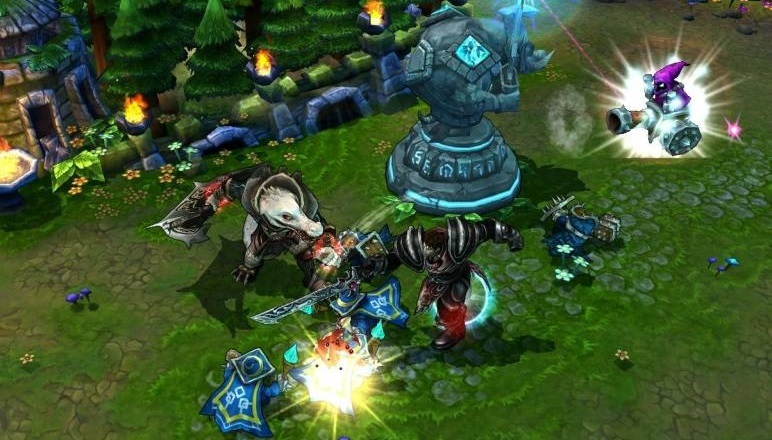 The consequence: League of Legends is without question one of the biggest games of all time. Now, there are of course many other reasons, having little to nothing to do with self-determination theory, as to why a particular person could resort to a specific game. For example there’s “playing to relax”. Stress relief is a valid and evidently common reason to invest time into a game. In principle there’s nothing wrong with that. However, the crucial psychological difference is that it is a so-called “hygiene factor”. What that means is that recreation is indeed important and necessary, but it is in itself not a cause for exaltation. In other words stress relief manages to reduce discontent but doesn’t single-handedly create happiness and isn’t involved in the personal development of any individual. On the other hand, there are the “motivators” that do just that: They motivate. Autonomy, competence and social relatedness as determinants of fun, intellectual progress and well-being clearly belong into this category. And while games can be good at merely reducing stress, they do not nearly exhaust their full potential as an art form in doing so. Other reasons are the result of the increasingly frequent use of games to provide “passive entertainment”. Big AAA titles continuously sprinkle players with high-definition graphics, elaborate soundscapes, bombastic music and extensive cutscenes. This characteristic of modern videogames was, among others, identified by Richard Terrell before: “Some gamers view games as a medium to reflect the current state of technology”. In his “Trigon Theory” he places this aspect of the medium next to the core gameplay as well as the, in times of “free-to- play” more and more prominent, idea of “games as business”. While the actual gameplay system is the core of any game, its mastery always involves learning and therefore personal effort. For that reason “good gameplay” is not nearly as easily perceivable as for example “good graphics” are. To satisfy more immediate, short-term and superficial needs (like recreation, spectacle, drama etc.) these “games without gameplay” and their methods of instant gratification are therefore the superior alternative, even though they also miss the core potential of the medium. In the end many game designers have developed an intuitive understanding of the motivators defined by self-determination theory. Unfortunately this has also led to these concepts being misused more and more frequently these days. For example, Marc Prensky in “Don’t Bother Me Mom - I’m Learning!” observes how game designers have learned to employ the notion of “leveling up” as a method to let the player know that he has gotten better, i.e. that he has gained competence. However, it’s not uncommon in today’s games that the only thing that’s really necessary to level up is time. 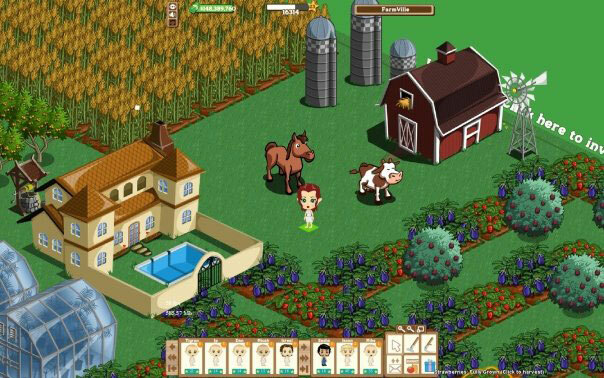 Games like FarmVille try to induce the feeling of need satisfaction without actually providing it. They tell their players that they’ve gained competence when they actually have not. In other words, they purposefully exploit a weakness in the human brain. Similar things are true regarding the need for autonomy. In many cases games merely pretend to offer freedom of choice while the player actually had no choice at all (but a “false choice”). On top of that, superficially impressive amounts of content can often lead to the illusion of a game being incredibly deep and offering endless possibilities, while a closer look at the underlying system quickly reveals it to be rather shallow and rife with clearly dominant strategies. In any case, it can be concluded that thinking outside of the box and looking into the wide field of psychology can turn out to be immensely helpful for game designers. But even the ordinary “hobbyist gamer” can learn a lot by giving some thought to her or his own motivations for playing games. Maybe some “black sheep” games can thus be identified that seem to motivate and satisfy needs on the surface, but after all only aim at inducing addiction and subliminally are at best worthless and at worst actively harmful. Thinking along those lines can in the end help build a better gaming future. Besides, questioning one’s own incentive can immediately pay off on a personal level. This is true for those who only ever aim to satisfy “hygiene factor” needs as well as the laser-focused “motivator hunters”. Both sides can’t be considered separately and only in combination will lead to a more fun, profound and at last healthier gaming landscape.